Our office received a phone call from a Rancho Santa Fe homeowner in The Crosby Estates. 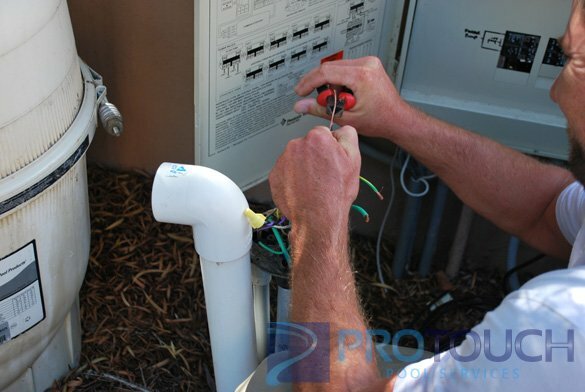 The San Diego resident needed the pool light in the swimming pool repaired. The pool light was no longer working, it would not light up although the other pool light would. 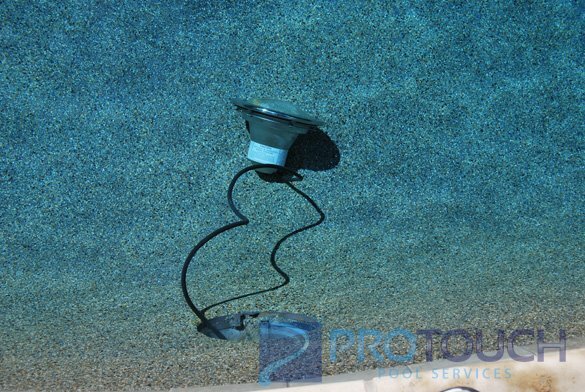 A pool light repair was scheduled and on arrival the homeowner informed us that they were having a pool party that weekend and needed the lights working. We noticed that the water in the pool and spa was cloudy and tested the water chemistry after the pool light troubleshooting. The light fixture was bad and we recommended a new pool light be installed. The customer was given a few different pool light options. 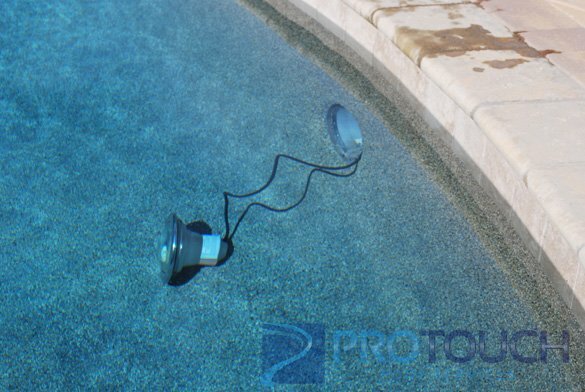 Installing a new LED pool light was the best option because of the energy efficiency of the pool light. Rather than a white LED pool light a LED color changing pool light was chosen. To keep the pool looking consistent both lights were scheduled to be replaced. 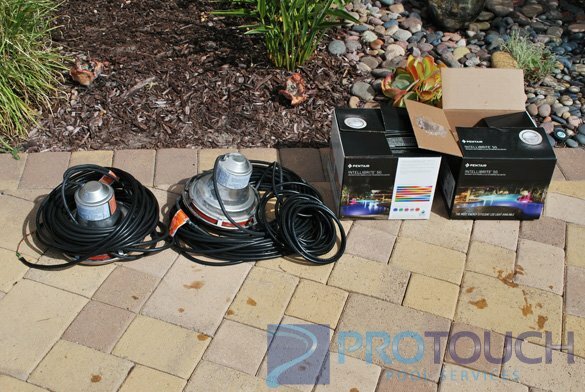 Two new Pentair Intellibrite 5G LED color changing swimming pool lights were installed. The color LED lights were attached to a Pentair IntelliTouch controller with an indoor remote. The different colors can be controlled from inside the house. 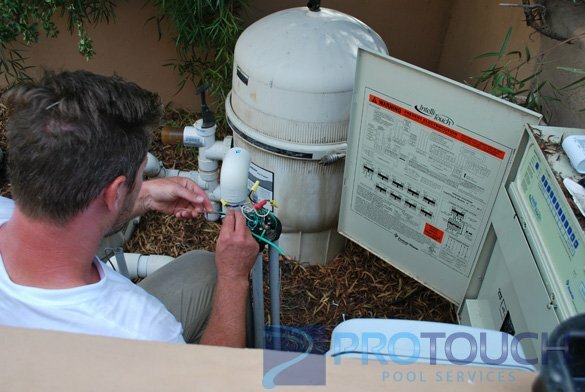 Along with the pool light repair we also performed a pool filter clean and began weekly pool service.